PT Surya Madistrindo - PT SM or known as "Surya Madistrindo" is a reputable cigarette distributor company in Indonesia. Surya Madistrindo is a member of PT Gudang Garam Tbk (Gudang Garam Group, IDX:GGRM), one of the largest cigarette producers in Indonesia. Gudang Garam Group is the majority shareholder in Surya Madistrindo with a 99.99 percent stake. According to information found in Gudang Garam Group's website as cited by JobsCDC.com, Surya Madistrindo operates primarily as a sole distributor of Gudang Garam Group and engaged in control of distribution strategy and field marketing for all parts of Indonesia. Its main business include sales, distribution, and also field marketing activities for the overall products of Gudang Garam Group. 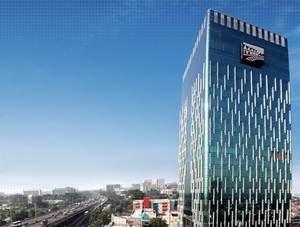 Based in Jakarta, Surya Madistrindo runs its business through 12 regional representative office, 180 branch offices and directly employs more than 14 thousand employees spread across Indonesia. Background in Bachelor Degree (S1) in any field. Minimum 1 year of experience in all industry related. The candidates with prior experience as Admin Data/Administrator is a plus. Demonstrated good analytical and problem solving skills. Proficient in Ms. Office especially in Ms. Excel. JobsCDC.com now available on android device. Download now on Google Play here. Please be aware of recruitment fraud. The entire stage of this selection process is free of charge. PT Surya Madistrindo - S1 Data Administrator Gudang Garam Group May 2018 will never ask for fees or upfront payments for any purposes during the recruitment process such as transportation and accommodation.